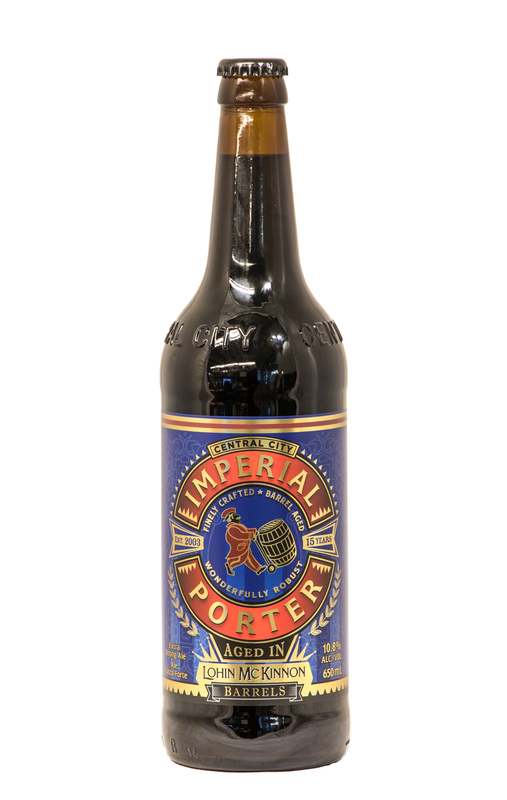 To celebrate 15 years of brewing great beer, this is a limited edition imperial porter that has been aged in Central City Lohin McKinnon Single Malt Whisky Barrels. Exuding deep aromas of roasted malts, bakers chocolate and vanilla oak, the flavour and body are silky smooth. Available on draft at the brewery and our brewpubs, as well as select taprooms in BC and AB. 650 bottles available from our brewery store as well as limited availability in private liquor stores.